← Howard Hill – „LegendStick“ longbow, by Craig Ekin. A beautiful, perfect 3-D-archery course in amazing mountain area. 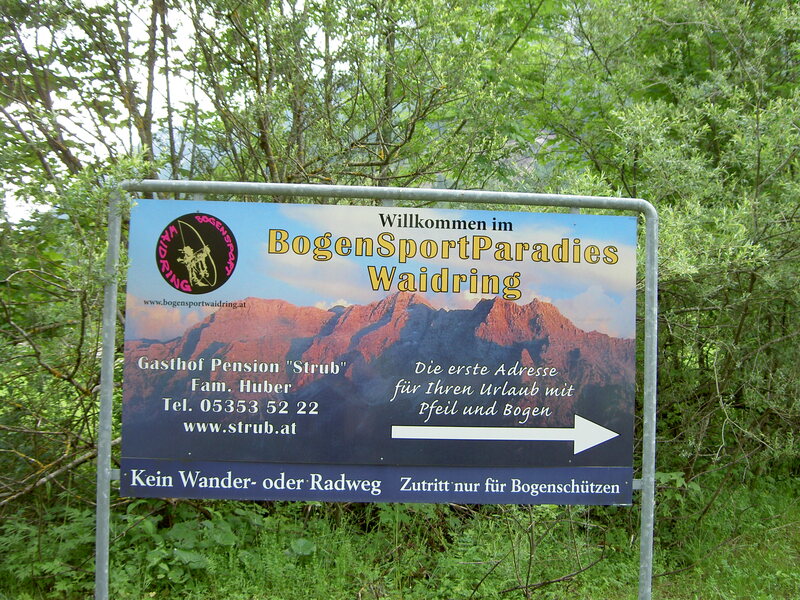 On July 26th some old time archery friends met in Waidring, Tyrol, at Gasthof „Strub“, Austria. The Tyrolean friends supported all archers with delicious food and beverages.Fritz Massinger, Martin Huber, Helmut Födermayr, Gerhard Steger, Mario Massinger, Harry Massinger, Martin Huber jun. Werner Gandler,Peter O. Stecher and some other archery enthusiasts, had a wounderful day in the amazing mountains around Hotel „Strub“. Mario Massinger, Martin Huber jr., Harry Massinger and other archery youngsters supplied the oldtimers with cold beer on a sunny day. 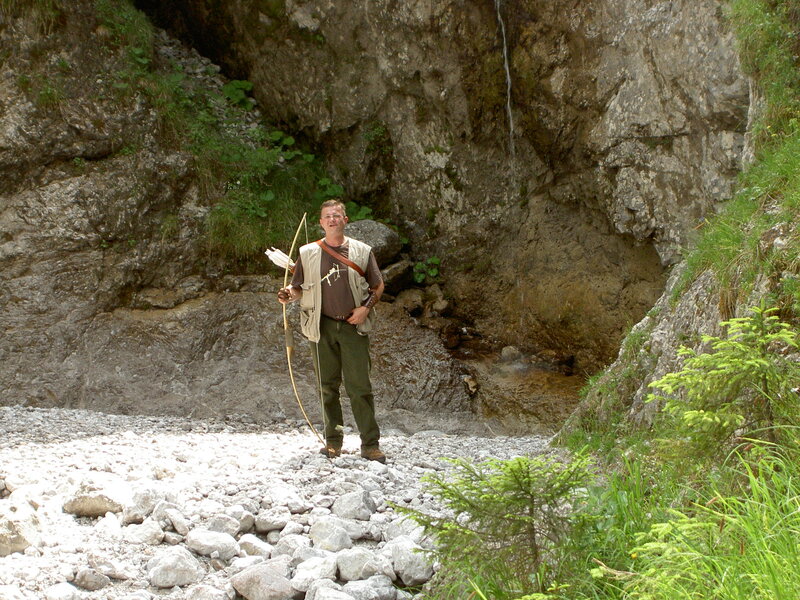 In the afternoon we the archers had fun with trickshooting, trying to shoot with Byron Fergusons 81# longbow – had fun together with friends, bows, mountains, true stories, and Jeeps. Mario Massinger, Martin Huber jr., Harry Massinger with their nifty Jeep lorries. Dieser Beitrag wurde unter 弓箭手 鹰眼 Bowman Magazine abgelegt und mit Archery, arrows, Austria, author, Become the Arrow, Beer, Bob Swinehart, Bogensport Waidring, Books, Byron Ferguson, fun with archery, Gasthof Strub, heavy bow, Howard Hill, Hunting the Hard Way, Jeep, Legends in Archery, Longbow, Peter O. Stecher, quiver, Tirol, traditional archery, Trickshooting, Waidring verschlagwortet. Setze ein Lesezeichen auf den Permalink.